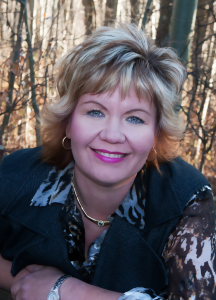 Michele is a current resident of Strathcona County and has resided within this community as well as the County of Beaver for over 30 years. Growing up on a mixed farm near Tofield and now residing on an acreage has empowered within her community. Presently, Michele and her husband are raising their three daughters near Sherwood Park and recognize all the needs of family within our growing region. Michele' s likeable personality coupled with her experience and education affords her clients to a competitive edge when buying, selling or leasing real estate. Michele has been working within the Real Estate industry at large for over 20 years. Michele is a successful Property Tax Consultant specializing in Commercial and Industrial properties in Western Canada,Directly involved and responsible for comprehensive real estate Assessessment Appeal Board hearings. Previously, she was a Land Agent Consultant acquiring mineral and surface leases throughtout Alberta. As well, she was an assessor with the City of Edmonton. Michele has always worked hard to advise, negotiate and administer the client's best interest.